Noah is an executive, educator, entrepreneur, and author. 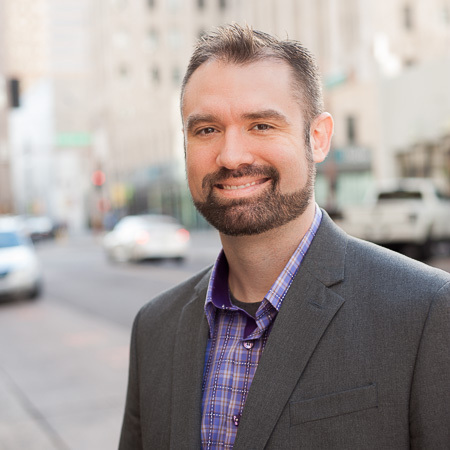 He is currently the Vice President of Marketing Strategies at a prominent Phoenix ad agency. In his current role, he is responsible for new business development, client strategy, and management of complex projects. Before moving into marketing, Noah worked for three years as a junior high teacher in the Osborn and Madison Elementary School Districts, first as a substitute teacher, and then as a full time technology teacher. Later, he worked for two years as a professor of game programming and production at the University of Advancing Technology. Noah co-founded a marketing agency in 2010, Sure Spark, which still serves clients today. That same entrepreneurial spirit led him to develop and launch Fizz Points, a social media and loyalty marketing app, which, though not a commercial success, gave him valuable insight into the world of tech startups and fundraising. He has consulted for many companies, and has worked on many side projects, including indie video games. 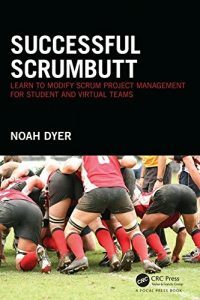 Noah is a certified ScrumMaster and author of the textbook Successful ScrumButt: Modifying Scrum Project Management for Student and Virtual Teams. His marketing articles have appeared in many publications, and he’s also a frequent conference speaker and expert guest on television and radio programs. Noah is a product of the Arizona school system, from Kindergarten through his Master’s Degree. He graduated from Central High School, received his bachelor’s in psychology from ASU West, and his Master’s in Business Administration from ASU’s Main Campus. Noah is fluent in Spanish. He is a hobby stage hypnotist. He served a Mormon mission in Costa Rica. He doesn’t attend a particular church regularly, but enjoys attending various congregations when invited by other Arizonans. He reads the Bible daily, and has read the whole text of the Bible, the Quran, The Tao Te Ching, The Book of Mormon, the Bhagavad Gita, and many other holy texts. He has traveled throughout India. Noah is a volunteer reader for Sun Sounds, a radio station that reads newspapers and other printed material to the blind. He is an Eagle Scout. He enjoys playing many sports, including wrestling, boxing, volleyball, basketball, ultimate Frisbee, football, rugby, and more. Noah is the proud father of four beautiful children, Enoch, Mattie, Linkin, and Lillie. He has been married, divorced, a homeless person, a champion athlete, and many other things. Perhaps most importantly, and inspiring his campaign for governor, Noah has something in common with nearly everyone and likes to build on common experiences rather than focus on differences. Like what you see? Volunteer or donate today!